Do you wake up feeling ready to take on the day or do you wince at the pain that shoots from your lower back? Waking up to pain doesn’t give anyone a good start to a day full of responsibilities. Whether you’re working a rigorous 9 to 5 or are up at the crack of dawn with the kids, you need your body to be in top shape to handle what’s to come. Lower back pain can come from a variety of health conditions like former injuries or lack of exercise, but sleeping on a sagging or poor-quality mattress certainly doesn’t make it better. If you have had far too many painful mornings, it may be time to buy a better mattress and toss the old one out for good. Lower back pain is a common problem that can be caused or worsened by poor sleeping positions. When a mattress is sagging, sloping, or improperly made, your spine won’t be aligned when you’re asleep. Poor spinal alignment means that certain parts of your body will be absorbing more pressure than others because the mattress doesn’t support your body in a balanced way. On the other hand, the right mattress will make you feel supported, with no strain placed on any select part of your body. This will help relax your muscles so you won’t feel so tense when you wake up. When you find the right mattress, you’ll know what a difference it makes in how you feel when you wake up. 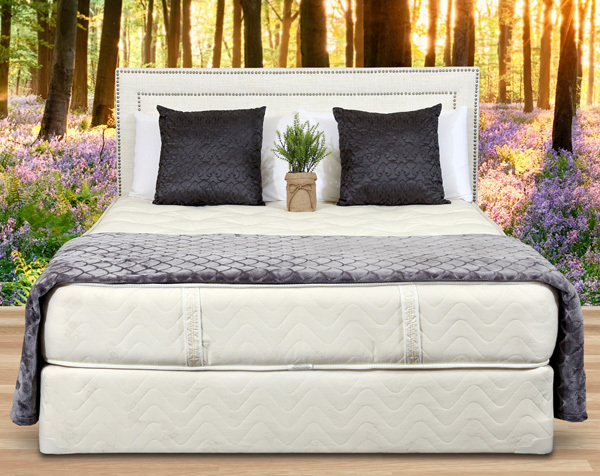 Maximize your chances of feeling completely restored when you cradle your body on a supportive mattress that surpasses all of your other sleep experiences. Gardner mattresses fit all the criteria required for a great mattress. Don’t just take our word for it, though. Try it for yourself risk-free for 90 days. A good night’s sleep is worth pursuing, so contact us today at 1-800-524-2736 to get one step closer to less back pain and better mornings.